I think many people have heard about Japan’s “maid cafes” (メイドカフェ or メイド喫茶）that allow viewing and interacting with cute girls in maid uniforms; but the number of people who have actually visited one is much smaller. Just to be clear, despite what images you may have going around in your head, stuff that typically goes on in a maid cafe does not belong in a red light district. In fact, several of the ones we researched, and of course the one we chose to visit, welcome children and families. While there are variations on the theme where the waitresses don’t actually wear maid uniforms, the one we chose––Guild Cafe Queens Court––was pretty true to the theme. This place was located on one of the upper floors of a building in Japan’s famous Electrical District, Akihabara (also called ‘Akiba’ by those that frequent it). I could easily write an entire article on Akihabara, but for this article I’ll focus on the cafe itself. When we got off the elevator the entrance to the cafe was just a few meters away. We hovered in front of the glass-paneled door for a few seconds, but weren’t able to see too much inside. Fortunately, someone came outside smiling, and answered in the affirmative when we asked (just to make sure) that young children were OK.
We entered the door and were led to three consecutive seats in the middle of a small bar with a handful of guys of various ages sitting around it. 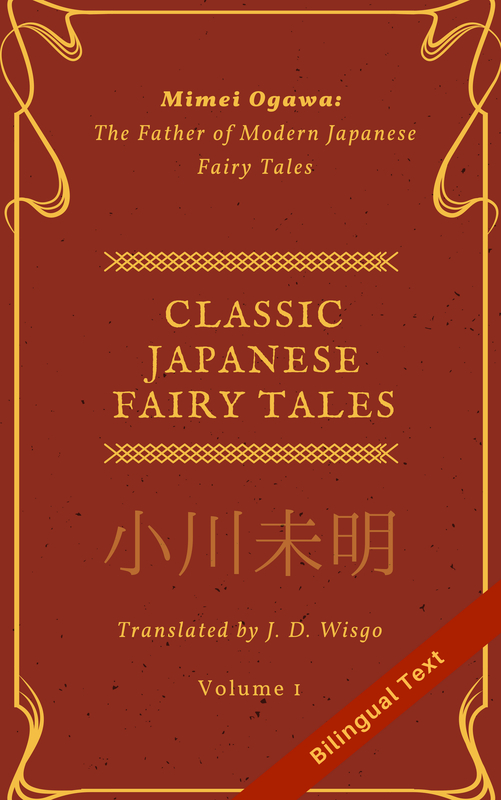 Behind it was four or five young girls wearing elaborate maid costumes. One of them immediately came up to us and handed us the menu as she stepped us through the process. To give a very quick summary: first time customers require becoming a member for 300 yen, and then drinks (coffee, alcoholic, etc.) are available on an all-you-can-drink basis for a limited time. For example, for around 800 yen an adult can drink as much as they want for 30 minutes, and I think roughly half that for a child. I asked if we could just buy drink by drink, but they said unfortunately that was not possible. Food was not included with the all-you-can-drink cost and was sold individually. There was also a system where you can accrue points and eventually get special things like food that is not normally served, or a postcard from one of the waitresses. This may all sound a bit boring (and expensive), but it was explained skillfully with the use of fantasy elements in order to make it better fit the theme of the cafe. For example, the 300 yen member fee required creating a card which is “required to keep you in the world of magic up here, otherwise you will have to return to the everyday world below”. There was even a little routine required before you begin your first drink involving some longish magic phrase and a special hand gesture––making the shape of a heart with two hands. These things, plus the costume, helped build the atmosphere of the establishment. The interior itself wasn’t too notable, although there were a few ornamentations in places. Besides the drinks (we chose only non-alcoholic, I am not sure if alcoholic ones were a separate price) and food (I chose a set of chocolates, of course, though one of the candies was frozen solid and I nearly broke a tooth trying to bite into it), one of the proclaimed perks of these types of places is talking to the waitresses. The menu had a one-page profile for each girl, including their hobbies, so we asked a few random questions to keep a conversation going, and also so I could get practice in Japanese conversation. But as more repeat customers (jourenkyaku, 常連客) came in and sat down near us, it became apparent that the waitresses were spending more and more time on them and less on us––perhaps a wise choice since we weren’t particularly big spenders and weren’t likely to become repeat customers anytime soon. Also, while the first girl we spoke to was good at maintaining the atmosphere and playing the role, the other girls seemed less into it and did little else but talk to us with a “cutesy” accent. Because of the all-you-can-drink system, we only stayed around 45 minutes, and in total spent roughly 3000 yen for three people. Since it was our first time, I think this was worth the money just for the rare experience, but we aren’t planning on returning to this cafe anytime soon. By the way, in case you are curious the girls at this cafe were reasonably cute, though they didn’t show much skin (except for their legs in some cases). I would have taken a picture but they expressly prohibited any pictures except for the food, so I took a picture of my coffee that includes part of the back wall of the cafe. But you can see some of the employee’s pictures on their web page linked at the bottom of this article. While I think maid cafes are a unique form of entertainment in Japan, even if I was single I don’t think I would hanging around them much. Thinking about it now, I think it makes perfect sense to locate them in Akihabara, a place where there are hordes of otakus who are supposedly more into 2D (nijigen, 二次元) women than real 3D ones; or even if they prefer the real thing they may find it difficult to “engage” in that area. There may be some correlation between the existence of this type of establishment and the statistics of “sexless” couples in Japan, or the low birth rate, but I think I’ll stop the social commentary at this point. 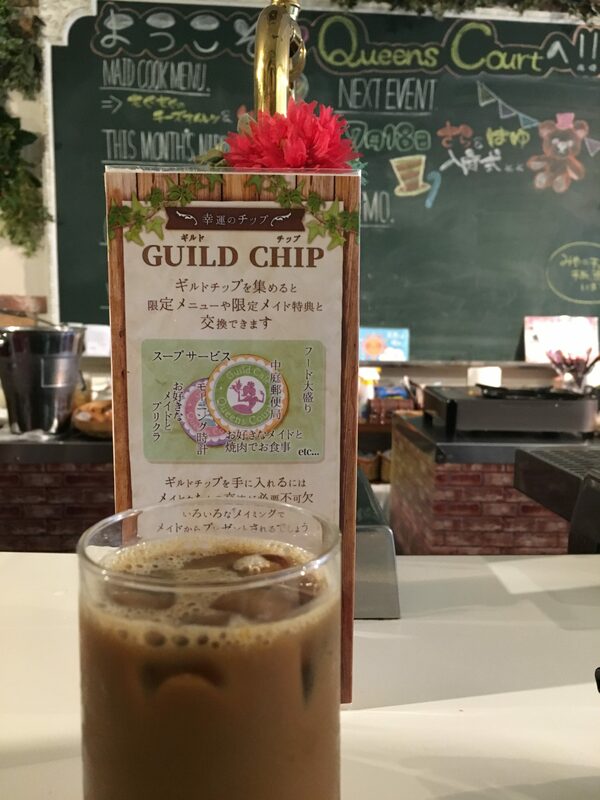 We actually went to another notable cafe on our trip, but I’ll report on that in a future article (hint: RPG fans would love to go there…) In the next article I think I’ll talk about my experiences at a Japanese elementary school.